Yesterday on the BBC news they ran a piece about the fact that over 6 million households in the UK have jewellery that is under-insured. This is around 25% of all households which is a huge percentage and you can guarantee its same in Ireland if not higher. This is certainly not news to me as I have mentioned it a number of times in previous blogs. The BBC does have the advantage however of a slightly larger audience than myself so I was very happy to see they decided to report on this worrying trend. The first issue is the value of precious metals. Gold has risen 500% in 10 years while silver has risen an astonishing 900% in the same period. That gold chain you’ve had since you were a teenager that you thought was worth around €500 could be worth over over €2,000. Secondly, diamonds have bucked predictions and have risen too. Some analysts have predicted they will rise an average of 25% this year. Not all diamonds have risen in value by that degree, but some colours and clarities have risen more than others so its essential that you get an expert to appraise them. The BBC report also brought up the issue of deliberate under-insurance. Regardless of what you pay for something or where you buy it, the item should be insured for what the ticket price of a similar item would be from a retailer in your geographic area. A valuer will study market trends very carefully and constantly check the retail price of items from a number of retailers in his area to ensure his values reflect theirs. Many people are under the illusion that the insurance company will hand them a cheque. They won’t. They will most likely replace the item or if they can’t, give vouchers. But not everyone is aware of this and they try to insure items for less than they are worth to reduce their premium, thinking that if they get a cheque they will be able to go to somebody who offers generous discounts on retail prices and replace the item (or just buy a new car). An insurance will consider this an attempt to defraud it and they will dismiss the claim altogether… let me say that again so it hits home… they will dismiss the claim altogether! Jonathan Lambert, the chairman of the Institute of Registered Valuers, was interviewed for the report and advised people to have their jewellery revalued at least every five years. Personally I’d advise at least every three years (certainly in the current climate) but if its been five years you need to have it done now. If you would like to view the BBC report please click on the link below. For more a more in-depth analysis from the BBC please click on this link. If you want to know more about having your jewellery valued click on this link http://www.irishvaluations.com or email me at info@irishvaluation.com or call me on (01) 4416365. Cartier. Jeweller to Kings, King of Jewellers. What does the name ‘Cartier’ mean to you? For me the first word I always think of is ‘Luxury’. 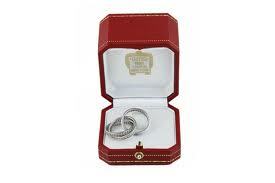 Cartier is by far the most respected Luxury brand in the world today. Prince Bertie (later King Edward VII) described them “Joaillier des Rois, Roi des Joailliers” (Jeweller to Kings, King of Jewellers) and commissioned them to make 27 diadems for his coronation. What follows is a brief history (and is by no means comprehensive) which I hope you will enjoy, and may encourage you to find out more. In 1847 Louis-Francois Cartier inherited the workshop of the Parisian master jeweller, Adolphe Picard, creating jewellery for some of the finest showrooms in Paris. In 1853, he opened a small workshop for the general public and finally in 1859, and due in no small part to the patronage of Princess Mathilde Bonaparte (the cousin of the Emperor Napoleon III), he opened his first boutique at 9 Boulevard des Italiens. His client list started to grow in size and prestige after a successful appearance at the Paris Exposition Universal in 1867 and in 1872 his son Alfred came to work for him, joined in 1898 by his grandsons Louis, Pierre and Jacques. Not long after this they moved to the iconic location of 13 Rue de la Paix which even today remains their worldwide flagship store. Alfred continued as head of the company focusing on the design and production of fine jewellery, while his sons looked after the business end of things. At this point the story starts to split into three. 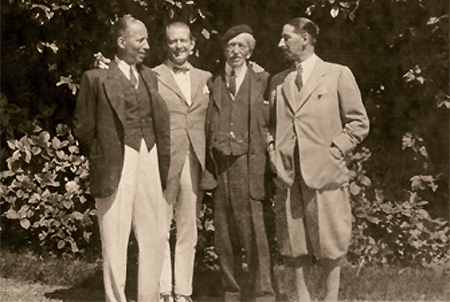 Each grandson eventually took over and drove the business forward in three separate locations; Paris (Louis), London (Jacques) and New York (Pierre). The Cartier look, created in Paris by Louis in conjunction with his head designer Charles Jacqueau (once called the Picasso of Jewellery Design) in the early twentieth century existed both within and without the movements of the time. While Cartier jewellery from this time could be considered Art Deco, to pigeonhole it as such would be to do it a disservice. It was much more than that. While it took its influences from many of movements and their subsets (Nouveau, Deco, Belle Epoque, Chinoiserie) the designs remained distinctly Cartier. Louis, now head of the company, also reintroduced the art of fine watchmaking, designing the first gentleman’s wristwatch, the Santos, at the request of the Brazilian aviator Alberto Santos-Dumont. Other innovative models such as the Tank, the Bagnoire and the Tortue soon followed and still form the backbone of the Cartier watch collection today. While Louis designed the watch, the movements were generally supplied by Edmund Jaeger (of Jaeger le Coultre). In 1933 Louis appointed Jeanne Touissant and director of high jewellery. A formidable woman, the designers and goldsmiths were in awe of her (she insisted all their designs had to get her approval first), as she prowled the corridors of Rue de la Paix. This amused Louis no end, dubbing her ‘Le Panthere’. The Panther design had already existed but it was Toussaint who inspired the designers (Louis included) to develop it into Cartier’s most iconic. This was of course helped even further by the patronage of the Duchess of Windsor who commissioned a Panthere brooch in 1950. Louis was always a patron of the arts and was a personal friend of Jean Cocteau, making the sword for his induction into L’Acadèmie Française (the sword hilt was designed by Picasso and represented a toilet seat, chain and brush). Cocteau asked Louis to design him a ring for himself and his partner that would represent true love. Louis came up with the famous trinity ring. Three different coloured bands representing love, fidelity and friendship; the elements of true love joined to each other. Meanwhile, Jacques was sent to London to run the new shop opened on New Burlington Street. The decision to open there was encouraged by King Edward VII (who probably found less time to visit his favourite jeweller in Paris after his coronation). They soon outgrew the shop and moved to 175 New Bond Street where they remain today. The shop is an historical place. During the Second World War, General De Gaulle used the boardroom as his office where he would write his speeches before taking the short walk to the BBC to broadcast to French people. The London branch was made famous by the patronage of many generations of the British Royal family as well as Maharajahs and Eastern Royals. The London branch opened its own workshop to save it having to import jewellery from Paris giving it a degree of autonomy in the design and execution of its commissions but always stayed true to the Cartier look. 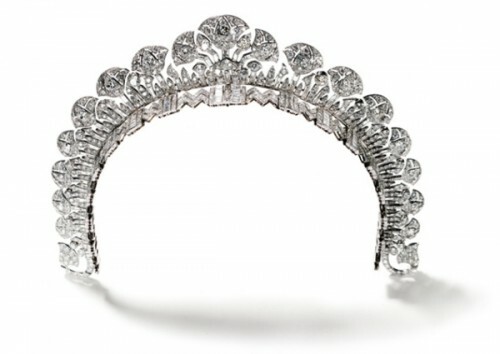 Famous jewels include the platinum, ruby and diamond necklace for the Maharajah Digvijaysinhji of Nawanagar, and the Halo tiara made in 1936 for the Queen Mother and recently worn by the Duchess of Cambridge at her wedding to Prince William. Back in 1907, Alfred Cartier had taken note of the amount of rich American clients who were visiting the Paris showroom. Never one to miss a trick, he sent Pierre over to New York to scout out a suitable location for a new branch of Cartier. He inquired as to the availability of a mansion on 653 Fifth Avenue discovering it belonged to Morton Freeman Plant, the son of the railway tycoon Henry B. Plant. Initially unwilling to sell he was soon convinced by a rather rare and valuable two strand natural black pearl necklace that Cartier had recently acquired. The deal was eventually done for the sum of $100 plus the necklace (it may sound like a bargain but this necklace was valued at €1,000,000 back then). Pierre stayed on to run the American end of the operation. 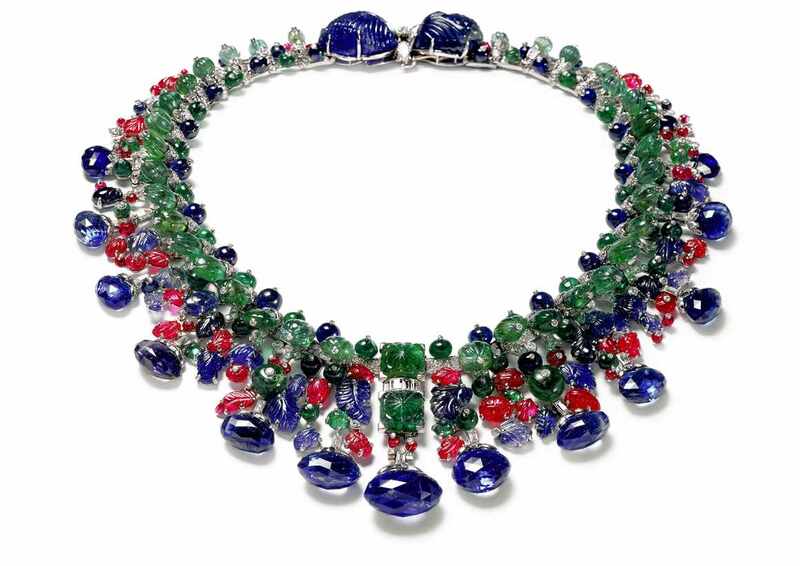 The New York workshop was responsible for one of Cartier’s best loved and most colourful designs; Tutti Frutti (pre-dating Little Richard by a good 30 years), originally named after a ruby, sapphire, emerald and diamond fringe necklace made in 1936 for Daisy Fellowes, heiress to the Singer sewing machine fortune, who bought it to cheer herself up after having to sell an ocean going yacht to pay off debts incurred by the Wall Street Crash. The company continued to operate as relatively loose collective in the following decades with the shops eventually inherited by the children of Louis, Pierre and Jacques. But they eventually sold their interests in the company. The brand had really started to diminish at this point. While Cartier in Paris and London still paid some attention to the original principles of the company, New York had slipped quite a bit downmarket. One globe trotting client commented that Cartier New York was too busy appealing to “American secretaries”. This was the point where a White Knight was needed and he came in the shape of Robert Hocq. Hocq had made his fortune in the cigarette lighter business through his company Silver Match. 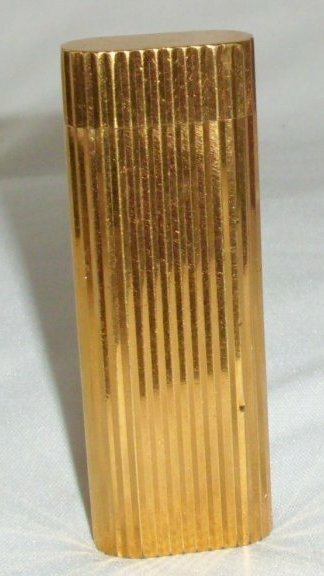 In the 60’s the demand for luxury cigarette lighters did not escape his notice (Dunhill and DuPont achieved great success with theirs) so he designed an elegant, slim, fluted lighter and sought a luxury brand to endorse it. Having failed to find a marketing partner in Van Cleef and Arpels, he approached the ‘down on its luck’ Cartier, and in 1968 the Cartier lighter made its debut on the market to almost instant success. Seeing the potential of the Cartier brand, Hocq together with the banker Joseph Kanui, put together a consortium of investors which included the South African millionaire Anton Rupert amongst others. They first bought the Paris store 1972 and followed this with the purchase of London in 1974 and New york in 1979 and re-amalgamated the company into Cartier Monde. Cartier Monde would still produce the high jewellery that Cartier was once famous for but it was necessary to re-educate the public about Cartier and this was successfully done through the ‘Le Must de Cartier’ range, a wonderful piece of Franglais suggested by a member of staff to identify the ‘Must haves’. The Le Must range included lighters, scarves, sunglasses, pens and high quality leather goods and eventually was extended to include Vermeil versions (silver gilt) of some of the iconic Cartier watch designs such as the Tank and the VLC. These items were affordable and available through a network of licensed retailers as well as in the Cartier shops. Le Must de Cartier and Cartier Monde were eventually merged to form Cartier International, under the chairmanship of Alain Dominique Perrin, the man originally given the responsibility by Robert Hocq of the luxury lighter project when he was at Silver Match. The ongoing success of Le Must allowed the company to expand and open new boutiques all over the world. Eventually the company was acquired by the South African Rupert family and merged with its other luxury brands which included, amongst others, Hackett, Mont Blanc, Lancel, Baume &amp; Mercier, Vacheron Constantin, Piaget, and Alfred Dunhill. This new organisation was called the Vendome Group, later renamed Richemont. Today Cartier boasts over 200 stores in 125 countries. The advantage of a strong brand and company ethos means the amazing experience of shopping in a Cartier boutique is the same anywhere in the world be it Paris, London, New York, Dubai or even Dublin! The famous red box is the same wherever you go, wrapped in white paper, pleated on the front and tied in red ribbon (or if your lucky enough to buy the jewellery, sealed with red wax). The designs today are both innovative and beautiful, but still pay tribute to the original concepts of the Cartier family. Cartier even sponsor contemporary artists through Le Fondation Cartier pour l’art Contemporain in Paris, a nod to their past of championing the artists of the early 20th Century such as Cocteau. In 1997 they celebrated their 150th anniversary. Heres hoping for at least 150 more. Bon Chance! Irish Jewellery Valuation Services. For more information click here. David’s IMPARTIAL ring buyer’s guide!!! Three whole exclamation marks. This had better be good then. 1. Plan ahead: Do a little bit of research. Look through some magazines, have a look on some websites and even look at what other people are wearing. If you see someone wearing a style you like, discretely ask them where they bought it (guys don’t attempt this as you may get arrested). All you need to know about the four C’s can be found on any good website (I’ve put a pretty comprehensive guide to it on my website click here), so you’ll have a bit more confidence when talking to the sales consultant. 2. You’re buying a ring NOT a diamond. I fully believe that ladies who refer to their engagement ring as their ‘diamond’ can never truly love their ring the same way the lady with the little three stone who says ‘we didn’t have much money then but I’d never trade it in for something bigger’. Choose a style of ring you really like first, then worry about the diamond. I’ve noticed from what people bring to me to value that more and more of them are choosing fancier settings, especially those with lots of small diamonds set into the shoulders, rather than some big rock in a very plain functional setting. In this respect it may be an advantage to have the ring custom made by someone who carries a large range of settings rather than limit yourself to the stock the jeweller carries in his window. Make sure when you try on a style of ring that you try it on with a wedding ring. Theres nothing worse than buying a ring that looks great on its own but awful with the wedding ring. 3. The diamond. Or the sapphire, ruby, emerald, tanzanite, alexandrite or whatever takes your fancy. Make sure you take the time to choose the right one for you. Get the right balance of quality and value (refer back to point 1: do your research). If buying a diamond its always an advantage to choose one with a diamond report from an independent laboratory, known more commonly as a Certificate. For guide on certificates, click here. Most jewellers offer both and the good jewellers will also give an independent valuation on the final piece. When buying anywhere, but in particular abroad, ask if the diamond has been clarity enhanced. This is where there has been treatment such as laser drilling and glass infilling to remove inclusions and improve clarity. In my opinion there is nothing wrong with this process as long as the client is informed of it before the item is shown to them (full disclosure). Unlike some scare stories that have been published in the national press in Ireland, they are not worthless, however their value is considerably less than an untreated stone of similar appearance. If the sales consultant is not willing to state the diamond is not clarity enhanced and put it in writing on the sales receipt then walk away. 4. Ask questions: A good sales consultant is trained to ask as many open ended questions as possible. That way they can find out your true motivation. But try and find a well trained sales consultant these days. If they don’t ask, you’re going to have to. If nothing else it gets the conversation flowing and may encourage them to find out more. Ask what styles are popular, whats good for everyday wear, what do ‘they’ like. But again, if they don’t make the effort to find out about you, try the one next door. 5. Your paying a King’s ransom so don’t be treated like a pauper. The trades going to hate me for this one. So why pay €500 for a business class seat when you can pay €100 for economy. Because of the service! When you go to a 3 star restaurant what do you expect for the huge bill you pay… unbelievable service (as well as some good grub). So if you’re spending €5,000 what should you expect, red carpet treatment OR to be made stand at a counter near a draughty door while some disinterested clock watcher shows how little product knowledge they have. For the amount of money you’re spending they should be indulging your every need. Why are the Americans so successful at retail? The prices are good but its the service that people remember. Its the tea and coffee offered. The champagne when the transactions completed (and not just after you’ve left). This is one of the most important days of your life so its nice when the retailer makes it a day to remember (for all the right reasons). 6. Care and attention: Always bear in mind that an engagement ring will be quite unlike any other piece of jewellery you have ever owned. You’ll start of with the best of intentions, cleaning it and carefully putting it away every evening into its box. Then one afternoon while lifting weights in the gym you spot the ring on your hand and think ‘sod it… it will be ok’. So always be mindful to choose something thats going to withstand the rigours of everyday life. But beware, all jewellery is delicate (even platinum). Always get a jeweller to check it at least once a year. If it needs work done, get it done straight away. Keep the setting clean with some warm soapy water, but never fall into the habit (as a lot of people do) of getting the scratches polished off the metal every few months. Its going to get scratched. Live with it. All polishing does is remove a layer of metal and can wear out your setting a lot quicker than just normal wear will do. Have it done every few years but not every time it gets marked. For a full guide to care and attention of jewellery click here. 7. The shameless plug (come on… I’m trying to run a business here!). If you buy a ring in Ireland ask the retailer for a valuation for insurance. Click here to see what one should look like (but don’t be surprised if it doesn’t… they’re sales people, not valuers). If you buy it abroad it will need an Irish valuation before an insurance company will cover it (CALL ME). There are a number of different types of cover but I’d always recommend ‘all risks’. Its like fully comp car insurance as opposed to 3rd party, fire and theft. Plug finished (now that wasn’t too bad, was it?). Dublin’s Jewellery Trade… green and growing? A very Happy New Year to you all (although a rather belated one). We enter 2011 with a tip-toe rather than our usual confident stride. There are so many out there waiting with an understandle degree of trepidation to see what effect our recent budget is going to have on their wage packet. So you can’t blame anyone really if a diamond ring is pretty low on their list of priorities for January. In these troubled times its luxury retail that gets hit the hardest (along with fine dining and corporate hospitality). A lot of salespeople in our trade have found themselves having to change career plans which is a great shame. Over the past two years many established names such as West Jewellers, Riannor O’Connors and College House have disappeared from our high streets. A number of other established names have decided to take early retirement, something not that common in the jewellery business. Many comentators have already written the obituaries for our trade. But I say its a little too early to write us off yet. Brown Thomas, despite a few early hiccups (Theo Fennell running away for example) seem to have got the balance right in their Luxury Hall, creating one of the nicest enviroments for jewellery and watch shopping seen for a long time in Dublin. Weir & Sons completed its refit before Christmas confirming its status as the country’s number one destination for luxury goods. And to top it all off, John Brereton has recently purchased the old West Jeweller’s premises on Grafton Street so that an Irish jeweller will again take up a prime position on our most prestigious shopping street. While many others have had a very challenging Christmas, the emergence of specialist diamond ring consultancies showed it was possible to buck the trend. Operating from offices rather than retail units, they provide a tailored one to one service giving the client exactly what they want at an excellent price thanks mainly to the fact they are not stuck with massive shop rents to pay. Back in our grandparents time, jewellers would take their best clients into an office so they could choose their diamond away from the bustle and stress of the shopfloor. It was a more civilised way of doing things, and now thanks to people such as Voltaire and Precious, once again people can avail of this level of service again. Its a growing trend within our trade and it means people no longer have to travel to New York or Antwerp to get a good deal. So, rumours of the death of our trade have been greatly exaggerated. Its pulse is strong and getting stronger all the time. Long may it continue to grow. Valuing jewellery or valuing jewellery “properly”. Of late I’ve haven’t been blogging as much as I’d like. Truth be told I’ve felt I’d said everything I wanted to say on the matter of valuing. But recently things have happened that have moved me to put some words up into the blogosphere. In some of my previous blogs I’ve explained why not everyone who works in the trade can value jewellery, and what level of detail is necessary in a valuation. It probably sounded a little preachy but I felt, as an expert and a qualified valuer, it was my responsibility to inform the public of things they need to know. However I cannot make the decision for them as to where they go to get their valuation done. When I started, I calculated a price that I thought was fair for the amount of work involved. After a while I dropped the price slightly in order to be competitive. Colleagues in the UK said I wasn’t charging enough and in a way they were right but when you start out in business for yourself you can’t run the risk of raising your prices so I kept them as they were. A customer, happy with the service, kindly offered to place a comment on boards.ie, which he did. However somebody replied promoting a competitor charging far less than me. This worried me a little and I sat down to think of my pricing structure again. Then last week I was revaluing a piece with a valuation carried out by this person in 2008. What I read appalled me. The description was one short typed line, and didn’t describe the ring at all. The centre stone did have the certificate, the only details that were transcribed from it were the weight of the stone and the report number. There no measurements, no description of any of the marks inside the shank and no total weight of the piece. First and foremost this “valuation” did not describe the ring and would be of no use to a loss adjuster when trying to replace it. But thats not what made me angry. It was how could they possibly compare what they do to what I do. And more than that, how did the have the brass neck to charge a client money for this “crap”? And this is not the first bad valuation I’ve seen from various jewellers around Dublin. Now I’ve always avoided saying too much and I’ll not name names (only to say the example used in this blog came from a jeweller in the Powerscourt Town House). Valuations that are hand written, or one line or just way off the mark with the value. I’ve seen the lot. In the UK the NAG have worked very hard to bring up the standard of valuing. However there is a minimum standard of work that an insurer will require over there. But what of our insurers? As far as I can see its a mixed bag, some will and some won’t. And as usual Ireland has to happy to accept a lower standard of service and expertise from our insurers and jewellers than our friends in the UK. In the coming week I’ll be writing to all the major insurers in Ireland to make them aware that by accepting badly executed valuations they make it a lot more difficult to settle claims as well as leaving themselves wide open to fraud. I will also ask for their comments which I intend to publish here. However don’t hold your breath. I have contacted insurance companies, brokers and regulatory bodies before and they rarely do me the courtesy of a reply. I’m sorry for this spleen venting, but this is important to me. I love what I do. As far as I’m concerned its a vocation more than a job. Its cost me a lot more than its earned me, both financially and personally, but I’ve stuck with it. I’ve put my heart and soul into this and I’ll be damned if a bunch of jokers who think they can value continue to cheapen my chosen profession. David is the owner of Irish Jewellery Valuation Services, one of Dublin’s only specialised jewellery valuation providers. If you would like to share your experiences with valuing or please add your comments to this blog. If you liked this blog, why not become a fan of our Facebook page. Recently, a website was brought to my attention. Started up by a former auctioneer from Sothebys, they offer an online service where you can email a photo of your possessions and they will give you an estimate as to what they think they may realise at auction. Now, don’t get me wrong, this isn’t a bad thing. There are a lot of people who have accumulated a lot of things during the boom years who are now finding it difficult to make ends meet. With programs on TV such as Cash in the Attic, the cathartic experience of clearing out the house can be a tempting one. And being armed with some information before you go to auction can only be a good thing. While this may be true of paintings, furniture or movie memorabilia (I’m no expert on any these items) for jewellery this is not correct. Theres a lot more to doing a valuation than simply doubling a lower auction estimate. It very much depends on the piece in question and whether or not its replacement with a new item (new for old) or with a second hand or antique piece. However they do say its for indicative purposes only, in other words not to be used as an actual valuation for insurance. When a valuer undertakes a valuation for a client there is a duty of care to both the client and the insurance company. To the client, the valuer must undertake to carry out the valuation with care, arriving at a value thats accurate enough to allow adequate cover to be purchased and producing a description that is detailed enough to allow the item to be replaced with something thats as near as possible to the original. To the insurance company theres a duty to state you have seen the item (to confirm it exists) and is in the possession of the client and it is as described. The importance of having the item ‘in your hands’ is crucial. Its an independent confirmation as to the existence of the item. Insurance companies take fraud very seriously. So serious in Ireland, that very few insurance companies do a cash settlement for lost jewellery anymore, instead providing replacements. This is because they were dealing with too many claims for lost items that were never owned. Also, in order to supply a replacement, a detailed description is essential, and this cannot be done using a photograph and some carefully worded questions. Whats to stop somebody photographing a fake watch or a friends ring, emailing the photos, getting a valuation and then putting in a claim. Even though they do not recommend you use their estimates as valuations, I really wish they wouldn’t use the word ‘value’ in their name. Not only can it give the public a false impression of what a valuation is, it cheapens the work and skills that a valuer puts in every day when he undertakes the difficult task of carrying out a valuation. 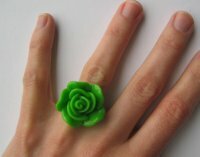 A simple diamond ring could involve a couple of hours work so how can this be done for €4? I truly believe their intention was never to have their estimates used as valuations for insurance but by using the words ‘Value’ and ‘Valuation’ all over their homepage people will do a google search, see the site, upload a photo, get an estimate and try and purchase cover, wasting their own time and that of the insurer as well as the price of a pint. If they do not want their estimates to be used in this way they should state this in clear terms on their homepage and not bury it in the FAQ’s and terms and conditions. By describing what they do as a ‘valuation’ they risk giving people the wrong impression of what their estimates are for. So in conclusion, if your looking to sell some pieces and don’t want to get ripped off, why not give them a go. But if you want a “Valuation” go see a “Valuer”. It could be said that this is a personal bugbear of mine. I seem to spend half my time cleaning rings in order to grade the gemstones properly. And when people exclaim they never thought their diamonds could look that good I almost want to cry in despair! But enough of my moaning. Cleaning your jewellery is essential to keep it looking fantastic. Diamonds are not going to sparkle if the setting is packed full of dried hand cream. But its not simply a case of just giving it a good scrub. You have to take a lot of care. The dirt in an antique ring may be the only thing keeping the stones in place. So heres a few pointers for you. 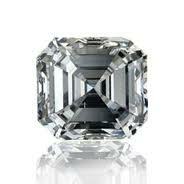 One of the main reasons why a diamond is so popular is its ability to reflect (and refract) light. However if its not clean its not able to show itself off to its full potential. If you have a lot of diamond jewellery you should think of investing in an ultrasonic cleaner. You basically fill it with hot water and some ammonia based solution, place the jewellery in the solution and switch it on. A high frequency sound wave transmits through the liquid and the dirt is effectively shaken off the jewellery. Its a very thorough method of cleaning but should only be used with extreme care. If a stone is loose in its setting, the ultrasonic could cause it to fall out. The following stones should not be cleaned with an ultrasonic. Emerald: most emeralds are oiled to improve their appearance. Ultrasonic cleaning will extract the oil. Some rubies are also oiled so care should be taken. Opal: opals are about 80% water. Ultrasonic cleaning can dry them out and cause them to crack. Pearls and turquoise: Both these gems are porous and the ultrasonic solution will penetrate the surface causing staining or peeling. Tanzanite: Tanzanite has an unstable crystal structure. Ultrasonic cleaning can cause pieces to break off..
Any fracture filled stones. The cleaning can cause the filling material to come out. Doublet stones should not be cleaned this way either as the cement can come unstuck. Ultrasonics are probably overkill for most people (and should not be used if you’re not 100% sure what you’re doing). Good results can be achieved using hot water with a little household detergent and a soft toothbrush. Always try and use a glass bowl because if something does fall out it will make it easier to find. Rinse items in another bowl of clean water NEVER under a running tap. Allow the item to dry on some tissue (don’t rub it with the tissue) and buff it with a soft lint free cloth or a soft chamois leather. There is a brand of cloth called Selvt which is ideal for this. Isopropyl alcohol which can be bought at any chemist is great for cleaning diamonds. But avoid using it on emeralds and any porous or treated stones. Gold jewellery can be cleaned with a chamois or special impregnated gold cloth. Don’t use silver cleaner on gold as it can be too abrasive. Silver dip should be used on silver only. Don’t leave silver in the dip for any more than a few seconds (or as long as it takes for the tarnish to disappear) and rinse it off straight away. Cultured pearls need the most care. First and foremost, always put pearls on last, allowing enough time for any perfume, skin cream or make-up to dry properly. If you do manage to get cream or makeup on your pearls, rub them immediately with a soft dry tissue. If that doesn’t work, try a soft cloth with a few drops of water. Never use any cleaning solution on pearls as this can cause the nacre to stain or peel. Necklaces should be restrung regularly depending on how often their worn. A necklace worn every day should be restrung once a year. The best thing is to look at the gaps between the pearls. If the pearls can move from side to side then its time to restring. Always keep the pearls in their original box or if this is not possible, wrapped in tissue paper. And finally, most jewellery gets damaged when its stored. Always make sure pieces are stored separate from each other. Chains should be laid out flat so they don’t knot. The best way to keep your jewellery safe is to invest in a good jewellery box. Yeah, but whats it WORTH???? If you do what I do for a living (thats value jewellery, NOT write blogs) you’re loathe to tell this to people in social situations. I normally say “I’m in the jewellery trade” and hope they don’t press me. If I say that I value jewellery you normally see the eyes light up and then something shiny is dangled before you with the inevitable question “how much is this worth”. The thing is I could give you four or five different answers, all being correct, depending on the context. By the way I’m only joking. I tell people all the time what I do. How would you expect me to get any work otherwise! But first let me deal with one issue. Its fairly impossible to look at something and value it in an instant. Its what I refer to as “The Antiques Roadshow Syndrome”. Its very entertaining to see people sat down in front of the expert (let me stress, they are some of the finest experts) while he tells them the life story of the maker, down to what he had for dinner the day he made the piece. The owner sits there smiling, nodding and saying to themselves “I’m not interested. Just get to the value!”. He then magically picks a figure out of the air and everyone gasps while the owner falls backwards off their chair. What you don’t see is the team of experts behind the scenes who appraise everything, research all the details and then pass these notes on to the on-screen expert as the person and their pot are plonked down in front of them and the director shouts ‘action’. But I digress. Many years ago The Roadshow used to say to people “its worth £10,000!”. Lately I’ve noticed they now say something along the lines of “you’d want to make sure that its insured for £10,000”. The problem being that people were taking the estimates they were giving which generally were for insurance, and running down to the local auction house, then writing to Points of View to complain it was only worth about a third of what they were told. So if I told you your ring was worth £10,000 and also told you it was worth £3,000 in both cases I would be telling the truth. Again it all depends on that magic word context. I generally value items for insurance. That is a value that will allow the owner, in the event of loss, to be able to claim on their insurance and have the item replaced with one as close to the original as posssible. The value is generally full high street window price. If you negotiated a discount when purchasing then well done. But be aware that the insurer will also want a big discount from the jeweller so if you insure it for what you paid after discount then you’ll be underinsured. The insurer will look for his discount against the insured amount and you’re left with a cheaper replacement. Does that mean insurance value is what its worth? Yes and no. If you want to insure it, then yes. If you bought it very cheaply and intend to sell it on its going to be worth whatever someones prepared to offer you for it. Most valuers won’t give such an estimate as its often assumed that its an offer to buy (well I certainly don’t do it). You may be surprised that an auctioneers estimate could be as low as 10% – 20% of the insurance value (but are normally a bit higher than this). This is due in no small part to the fact that a lot of people are trying to sell jewellery and the auction houses are trying to cover themselves. If they get something they think may be difficult to sell they may calculate an estimate thats based on the scrap value. This they hope will ensure they are not left unable to sell the item. What if you want to use the item as collatoral for a loan? Then the value may be as low as the scrap value of the component parts. This is to assure the lender that if the borrower defaults then they can get rid of the item quickly and get their money back. Even the insurance value is not a simple straightforward thing to assess. It could be new for old (New Replacement Value or NRV), the item may be quite old and difficult to replace new so the valuation is Second Hand Replacement Value (SHRV). It might be over 100 years old so its Antique Replacement Value (ARV). It may be so unique it would require a hand made copy to be made (Facsimile Replacement Value, or FRV). There are even several other categories that the valuer may use if they feel its appropriate. Its not an easy thing to do. If it was we’d all be doing it! So remember, next time you ask somebody ‘whats it worth?’ don’t be surprised if they ask you a barrage of questions back. Its only so we can give you the right answer. Valuation certificate Vs Diamond Certificate. Whats the difference? The word ‘certificate’ tends to cause a lot of confusion to the general public when it comes to jewellery. Truth be told, I’d sooner never use the word because of the confusion it causes. A more correct term for a valuation certificate would be a “valuation document” while a diamond certificate really should be called a “diamond report”. They are two completely different things and are required for totally different reasons. In the interest of clarity I’ll attempt to differentiate the two in the hope of clearing up another grey area. Those of you who have purchased an engagement ring will probably be aware of the existence of ‘certificated diamonds’. These are diamonds that, before being set into a ring or other type of jewellery, have been sent to an independent laboratory such as the GIA or the HRD for grading. There, a diamond grader (or group of diamond graders) accurately measure and assess the diamond. They take detailed measurements, including the dimensions of the stone to one hundreth of a millimeter, the weight to one hundreth of a carat as well as careful measurements of the particular angles of the diamond. They assess and grade the colour, clarity and quality of the cut. They also measure any fluorescence as well as making sure the diamond is of natural origin and free of any artificial treatment to improve the appearance. This is generally done before the diamond is sold to a dealer or a manufacturer who will then set it to the clients requirements. The diamond report will never state the monetary value of the diamond. A valuation for insurance is generally carried out on a finished piece of jewellery as opposed to just the diamond (although they are occasionally carried out on unset loose stones). The weight, grade and dimensions of the diamond will be mentioned. If no diamond report exists the valuer will attempt to calculate these as accurately as he can, however will be restricted by the fact that the stone is already set. Therefore the weight and grade, while accurate can never be as precise as a diamond report (for this reason valuers assessing a diamond without a laboratory report will grade accross two grades, e.g E/F colour or VS1/VS2 clarity). But thats not what the valuation is for. It is primarily there to allow an insurance company to be able to supply a reasonable facsimile of the item in the event of its loss. Because of this, the details of the setting and photographs of the piece are just as important as the diamonds grade. It also provides a means of identifying the piece of jewellery in the event of its recovery by the police or in the unlikely event of a dispute over its ownership. If a diamond has a laboratory report then the valuer is duty bound to include the details of this report in the valuation document. For that reason he will always ask to see the report. He’s not carrying out a valuation to make sure the diamond report is accurate. If he feels the report is not accurate he will certainly advise you but thats just part and parcel of his job. Fine differences in grade can make a difference to the value so its in the customers interest that their valuation includes details of the report in order to make sure they are adequately insured. So the message is a simple one. If you own a ring with a diamond report and need it valued, always bring the report and show it to the valuer. Not only will you make his job a lot easier but you’ll also make sure your valuation is as accurate as it can possibly be. Over one year and still here, part II. The continuing story of a new business startup in Ireland. There are times I hate my brain! As soon as I posted my new blog yesterday with seven tips for somebody thinking of starting up their own business, I thought of another few things. There are many things you can accuse me of but you can’t accuse me of not being a completest. In the spirit of this here are some more tips (from 8 to 12) for the entrepreneur . As soon as I remember any more expect part III (law of diminishing returns state it will only be as good as Rocky III which in fairness had Mr.T so can’t be too bad). Please remember these aren’t tips from a book… theres hundreds of consultants and life coaches out there who can advise you so much better than I can. These are just some things that I discovered through trial and error. If anyone has any advice they would like to give please feel free to add it as a comment at the end of this. I’ll approve any comment as long as its not too rude. 8. Pamphlets. I had the great idea of printing up some pamphlets and delivering them door to door. It was the most soul destroying experience of my life. Again, 500 pamphlets and no replies. Now, one could put this down to the wording which I did myself. But I think its more to do with an aversion people have to bits of paper being shoved through their letterbox. The worst it got was when I went around Dalkey and was verbally abused by a number of people. So, unless your business is a restaurant I’d be wary of pamphlets… they can cause more damage than good. There are companies that will print and distribute for you so if your adverse to doing it yourself this is a relatively inexpensive option. 9. Advertising. Choosing your media is so important. If, like me, you had a very small budget for advertising its so crucial you get this right. I, unfortunately, didn’t, taking out an advert in a yearbook for a particular branch of the civil service. Over €400 for no return. Its all down to accurately identifying your target market and then identifying the media they subscribe to. 10. Cultivate contacts within your own trade. I take the opportunity to meet and introduce myself to as many people within the jewellery trade in Dublin as I can. There will come times when they may need your help and this can lead to a steady stream of work. Its also a good idea to get to know your competitors. There will come a time when they may be better qualified to do something than you are so it may be prudent to pass the work on to them. This will ensure they won’t badmouth you and may even pass a bit of business back. 11. Keep busy. This is so important. When you work for yourself you’ll find that work is never steady. It comes in fits and bursts. On those days when your not busy, take time to write blogs, register with link sites to create inbound links to your website, or simply chase down leads that may lead to work. If nothing else, keeping busy keeps you positive when times are quiet. And when it gets busy… enjoy it! 12. Pen and paper. Take a pen and paper with you everywhere. It sounds like a no brainer but next time you slip out to buy a coffee, check your pockets, I bet you don’t have them on you. I always take a pen and notepad everywhere and before I leave the house I always redirect the landline to my mobile. You can do this for free on Eircom’s website and there is a small charge for redirection but its well worth it if it leads to work. So thats all for now (until I remember more). Hope you enjoyed reading these last two blogs. And don’t forget, if you have any jewellery related enquiries please don’t hesitate to get in touch at irishvaluations@gmail.com. I’m only too happy to answer any question.